Enjoy the top 8 famous quotes, sayings and quotations by David Roediger. 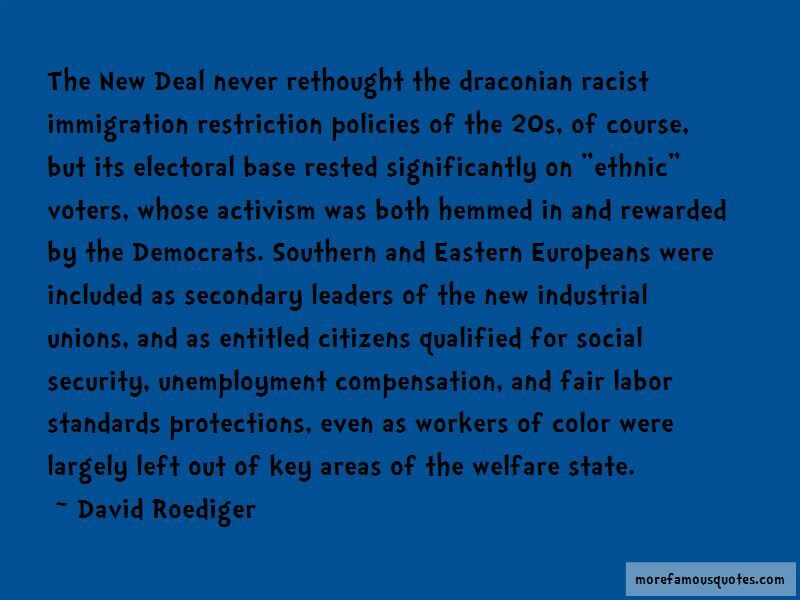 The New Deal never rethought the draconian racist immigration restriction policies of the 20s, of course, but its electoral base rested significantly on "ethnic" voters, whose activism was both hemmed in and rewarded by the Democrats. Southern and Eastern Europeans were included as secondary leaders of the new industrial unions, and as entitled citizens qualified for social security, unemployment compensation, and fair labor standards protections, even as workers of color were largely left out of key areas of the welfare state. Not surprisingly, thinkers from groups for whom whiteness was and is a problem have taken the lead in studying whiteness in this way. Such study began with slave folktales and American Indian stories of contact with whites. 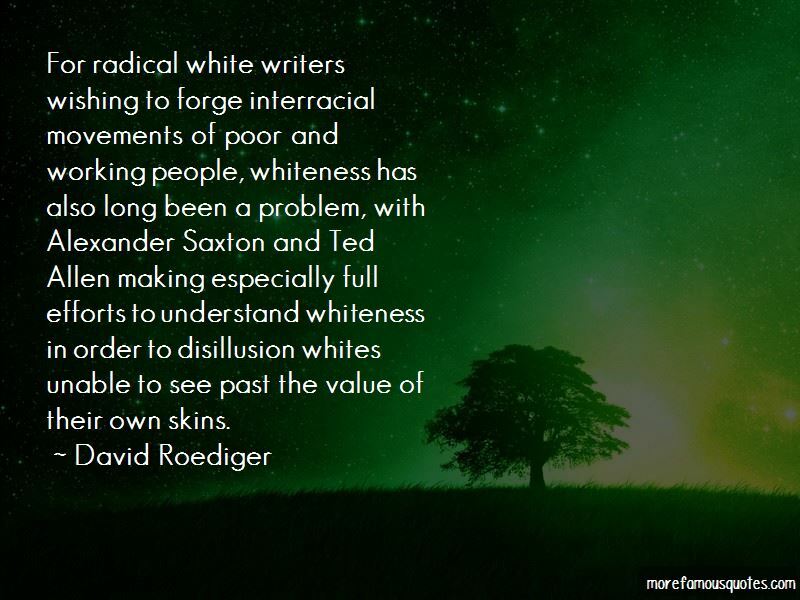 For radical white writers wishing to forge interracial movements of poor and working people, whiteness has also long been a problem, with Alexander Saxton and Ted Allen making especially full efforts to understand whiteness in order to disillusion whites unable to see past the value of their own skins. 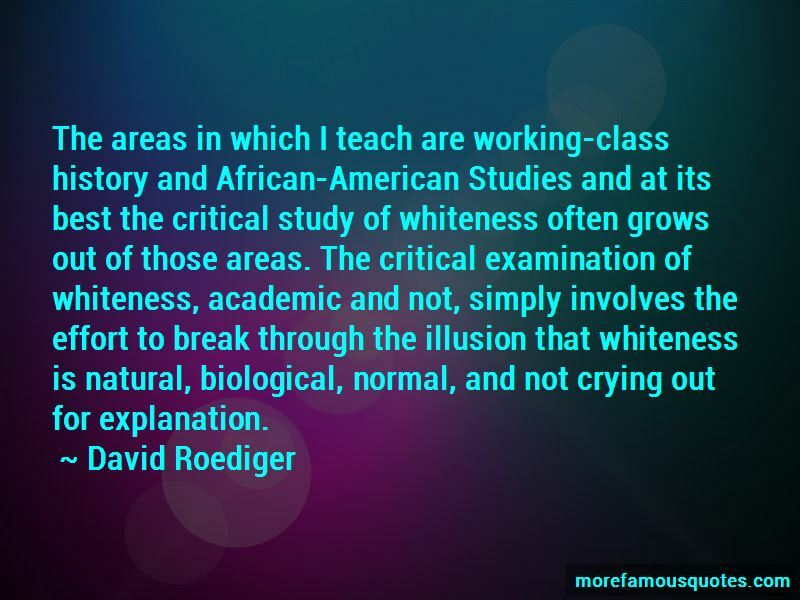 Want to see more pictures of David Roediger quotes? 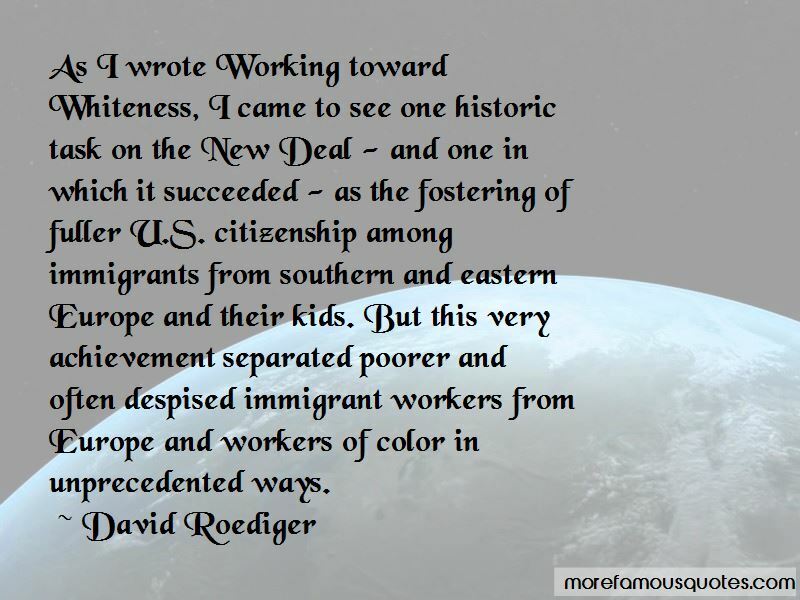 Click on image of David Roediger quotes to view full size. “1SA17.49 And David put his hand in his bag, and took thence a stone, and slang it, and smote the Philistine in his” — Anonymous.